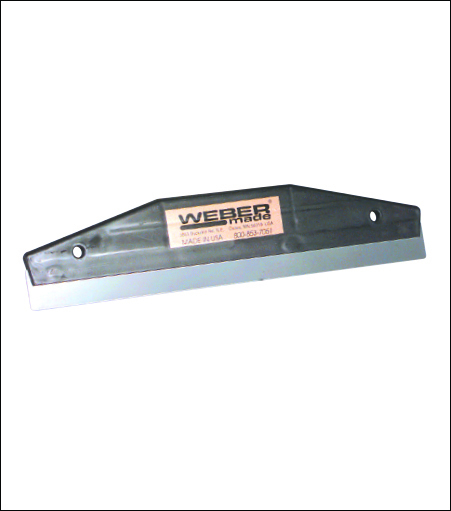 By being 3 times wider than the standard 4 inch plastic or nylon squeegee - This new 12" (30cm) Webermade© Stainless Steel Squeegee will save you a lot of time. It simply covers a lot of area fast. This 12" (30cm) Stainless Steel Squeegee is intended to be used in the shop to apply (set) your application tape to vinyl and is not recommended for use while applying vinyl to a substrate.